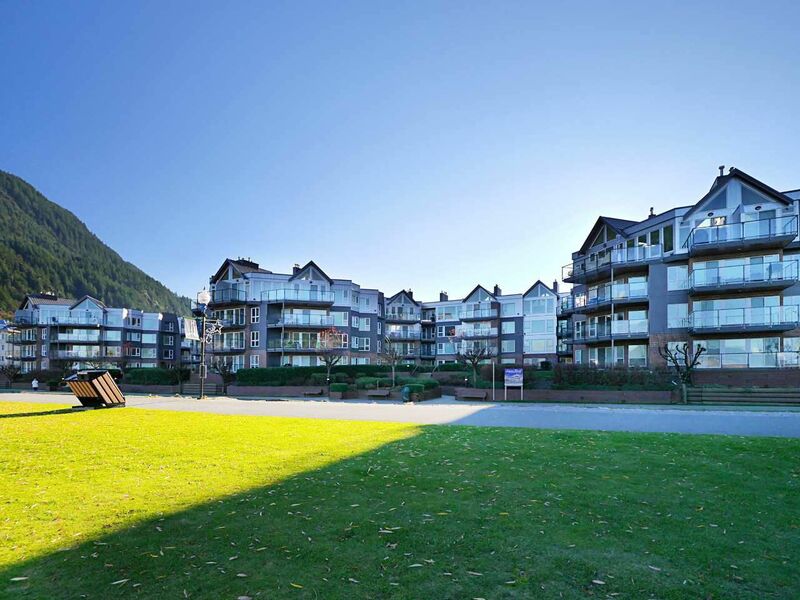 For people lucky enough to know it, Harrison Hot Springs is a winter wonderland and a great summer get away. Laguna Beach is a waterfront apartment with a brand new exterior. A major retrofit has been completed and the building is better than new! #405 is a penthouse apartment with a beautiful view of the lake. A major renovation has created an outstanding gourmet kitchen with granite counters and spacious island. Custom cabinets and stainless appliances. Glass top range with halogen elements. An island for entertaining has an overhang for seating and a built in cooler. The vaulted ceiling in the living room has a southern window at the peak and the room fills with light from the south. Reward yourself today!